An alleged Asus ZenFone 6 (2019) was leaked in November last year, which had revealed an offset display notch on the device. Now a couple of new images which is supposed to be the upcoming Asus ZenFone 6 has been leaked again. This time, the image has been shared by a user on Instagram. 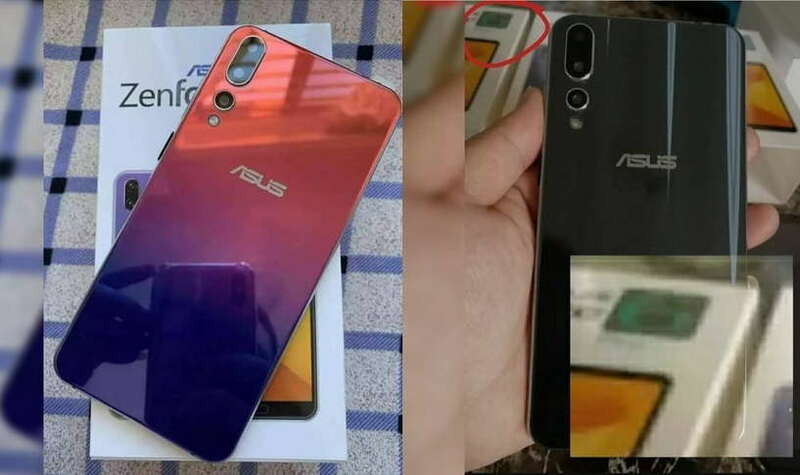 The user shared two images of the alleged Asus ZenFone 6 revealing the device from its backside. The new image shows a previous leaked triple rear camera setup. The smartphone has a gradient orange and blue color scheme with a glossy finish. The upcoming Asus ZenFone 6 is supposed to be a new flagship smartphone from Asus. Feature-wise, the upcoming Asus ZenFone 6 is expected to come with a full metal frame body along with a glass back panel. The device will have a slightly different design display Notch placed at the right side of the display. The device is expected to include a USB Type-C port, and a 3.5mm headphone jack. We are not yet sure, but it could be powered by the Snapdragon 855 SoC similar to the upcoming Galaxy S10 and Xiaomi Mi 9 and Smartisan Nut R2. For now, we don’t have much info about the upcoming Asus ZenFone 6. However, we could expect that Asus will make some new announcement later this month at MWC 2019.